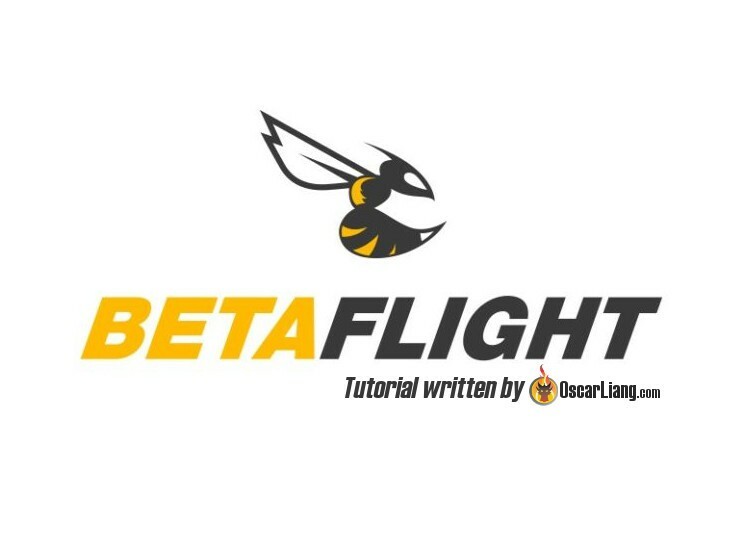 This tutorial shows you how to backup and restore Betaflight settings. It’s important to always back up your Betaflight config before updating FC firmware because it can erase your previous settings. I also recommend backing up before making any big changes in case you mess something up so you can always go back. Check out my other Betaflight tutorials. There are 2 places you can make a back up of in the Betaflight Configurator. 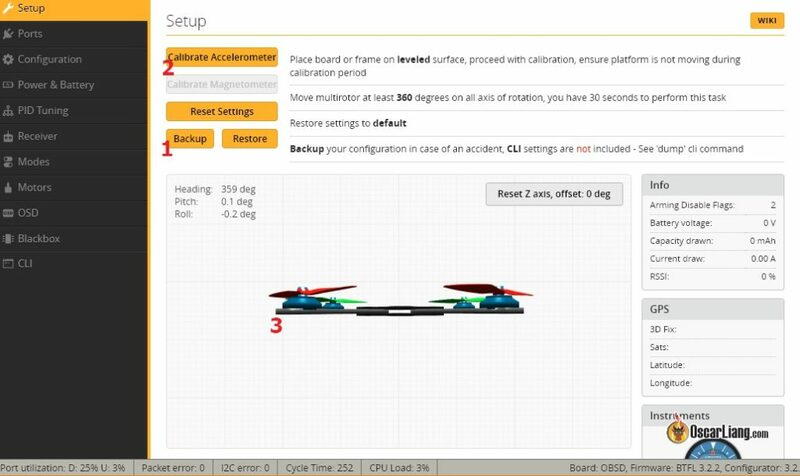 Connect to Betaflight Configurator, go to the Setup Page, you should see the “Backup” button (labelled “1” in the following picture). Click it and you will be prompted to save the file somewhere. To restore, simply click the restore button next to it and select the backed up file. This might be the most convenient way of Betaflight Backup. However the backed up file might not contain all the settings, and it’s not in the most user friendly format when you just want to look up a setting (in .json format). Therefore I prefer to back up the CLI commands instead. This will only show you settings that are different from the default values, which is way easier to handle. See this article to see why you should use “diff” rather than “dump”. However one advantage to the command “dump” is that you get to keep the original default values, because the default values might change form version to version. Regardless which command you use, now copy the result in the CLI, and paste it in a plain text file. To restore the backup from CLI, simply copy the text file, and paste it in the CLI, type in “save” and hit Enter.